Every June 16, book-lovers get together to dress up in straw boater hats, read aloud from books, drink, and eat an Irish fried breakfast — all in the name of Bloomsday. But what is Bloomsday? You'd have to have read James Joyce's famously tricky novel Ulysses to work it out. If you ever made it through Ulysses , you'd know that it follows the activities of Leopold Bloom around Dublin all on one day: June 16, 1904. Throughout the day, we see Bloom go through various mundane daily activities: eating a fried breakfast, using the bathroom, buying a present for his wife, farting, and, um, masturbating. Not a particularly special day, but it certainly captured the public's imagination. Devoted fans of the book celebrate Bloomsday every June 16 in Joyce's honor — whether they're in Dublin, where the book is set, or anywhere else around the world. 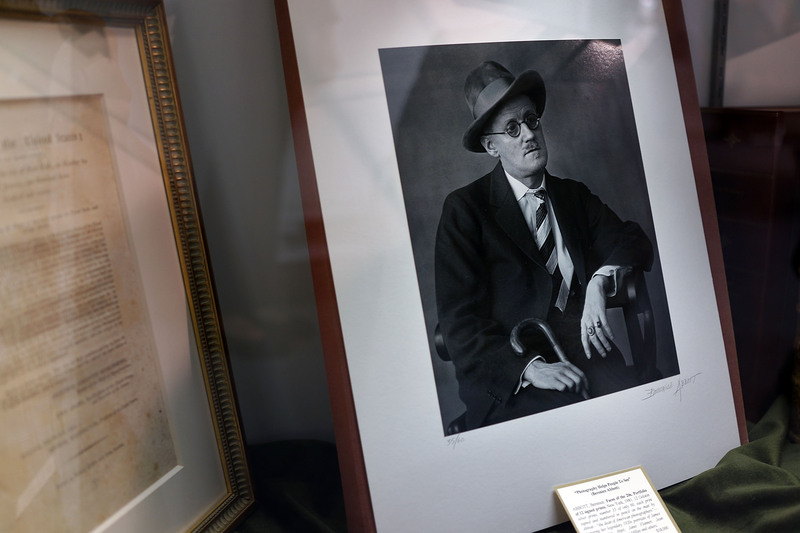 But to Joyce himself, June 16 meant so much more than Bloomsday. When he picked that date, it was in memory of the first time he went out with Nora Barnacle, the woman who later became his wife. The date holds a lot of romantic significance for the Irish author — and Joyce would have loved to know that we still celebrate this day. As pointed out by Mark Traynor, the managing director of the James Joyce Centre in Dublin, Joyce wrote a note on June 16 a few years after the novel was originally published, asking despairingly "Will anybody remember this date?" I think Joyce would be thrilled to see quite how far-reaching the Bloomsday celebrations have spread today.